Say what you want about Divock Origi, he’s always had the right mentality and always gives his all on the pitch. The Belgian striker just wants to be part of the group and chip in whenever he get the chance to. In comments given to the Official LFC Magazine, the 23-year-old told official club sources that: “It is a squad game and, like I have always said, I try to shine my light whenever I get my opportunity”. “I focus on what I can do to help the team in whatever capacity that is. I just have to stay positive. I know that we have big goals so whatever role I am asked to play, I am happy to do that,” he added. It’s this kind of selflessness and commitment to the cause that demonstrates why it might be worth keeping the young forward at Anfield next season. It’s actually easy to forget he’s got two league goals in nine appearances this season. 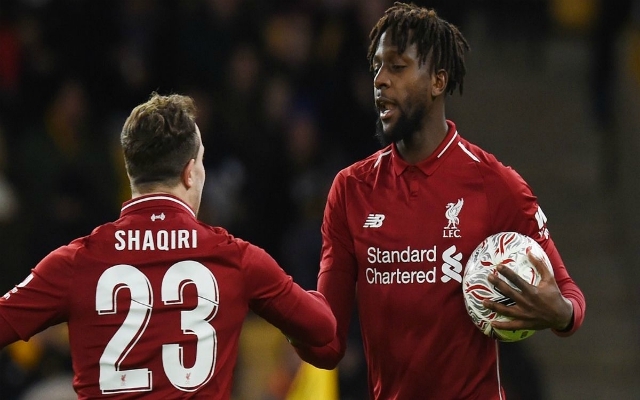 Unpopular opinion: Divock Origi is an absolutely monster and a gem to bring off the bench. Positive, direct, always looking to take on his man/have a crack at goal. In recent weeks, he’s had an impact every time he’s come on. That unselfish and flexible attitude will resonate with the ethos Jürgen Klopp has instilled at the club. Why not keep him around? He’s still young, can play down the middle or on the left, he’s settled at Liverpool, and he will always be remembered for scoring that goal in the Merseyside derby. On playing on the left of a front three, Origi stated: “I loved that role. Even in the youth teams, I used to play up front and on the wing so I’m comfortable in both positions. Divock Origi. The best impact substitute we’ve had in donkeys years. Origi was actually very decent in that 5-0 win over Watford in February. In only his second league start he played well out on the left and scored our third. He’s been out on loan, he’s been on the bench, but this season he’s shown impressive determination and selflessness to get himself back in Klopp’s plans. That kind of spirit is what we need at this club, so let’s let Div stay another season.